And they also had horses, and asses, and there were elephants and cureloms and cumoms; all of which were useful unto man, and more especially the elephants and cureloms and cumoms Ether 9:19 . Ever since the coming forth of the Book of Mormon, readers have wondered about the strange reference to elephants (and especially to its companions the cureloms and cumoms) found in the story of the Jaredites. What were they, what did they look like, and are they related to anything we know about in our day? 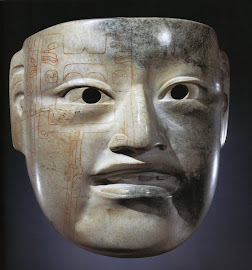 The best theory regarding the Cureloms and Cumoms that I have found is in an excellent research paper by Scott Drenner found at http://www.cureloms.com/Cureloms.pdf. He suggests that they were different genera of the elephant species (that have since become extinct), to be exact, the mastodon and the Cuvieroniinae (of the Gomphotheres). These are both subspecies of the elephant (Proboscidea) order and both have the general appearance of the elephant. They all apparently have similar characteristics of the elephant that would have been valuable to the Jaredites: great strength, long life, ease of domestication, and ease of training and management. They would have been the "heavy equipment" of the Jaredite culture. Even today elephants are used to perform extremely heavy work in the timber industry in Asia and a study of that practice gives us some idea of how the Jaredites might have used them in their day. Skeletons of each of these species have been found in abundance in the continental USA, in Mexico, and in Central America. 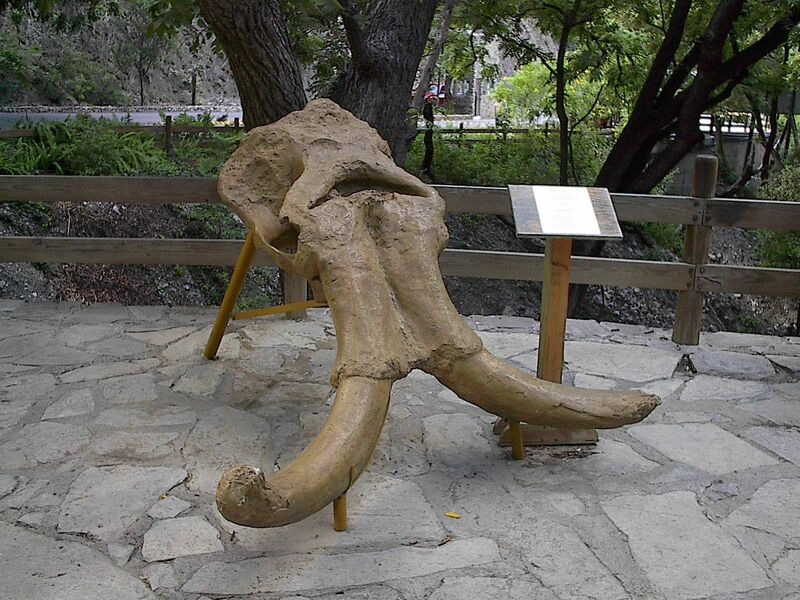 Elephant fossil finds are much more numerous in Mexico than farther south in Central America. It is my opinion that the Jaredites controlled the elephant market and as a result there were few domesticated elephants south of the Narrow Neck of Land as it was closed south of the City of Lib. There are no specific references to elephants among the Nephites. This is a skeleton from the Guatemalan national museum that was found several feet underground as a street was being excavated in Estazuela, Guatemala. This is a fossil elepant skull from a park just outside of Monterrey, Mexico. 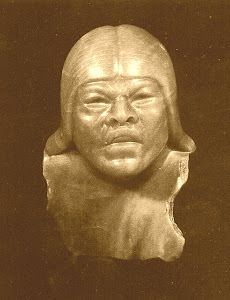 When the Spanish first invaded Mexico they were told of giants who had previously inhabited the land. The native showed them huge bones which they thought were from giant humans, but they eventually turned out to be elephant bones. Most paleontologists and archaeologists automatically date any fossil elephant find as pre-10,000 BC without even bothering to date them. But Scott Drenner has found that there are many finds with much more recent dating, reaching down to Jaredite times. When a site results in an anomalous dating (post 10,000 BC) the scholars will often throw it out judging the test to have been done in error. Modern Asian elephant dragging log. 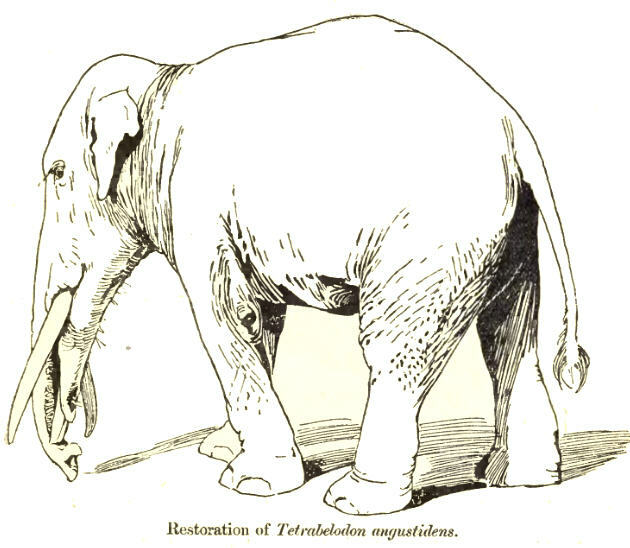 The Jaredites may have used these elephant species to excavate earth, move rocks and stones, move logs, engage in mining projects, erect buildings, transport goods and people, etc. We are told that the Jaredites developed and made all kinds of equipment to be used in managing their animals. I am sure that this was especially true for the elephant (And they did make all manner of tools with which they did work their beasts Ether 10:26 ). The husbandry of elephants is very interesting and different from most domestic species. This is due to their lengthy gestation, and the long juvenile phase. Elephants will carry their young for 18-22 months, and the young infant will generally not be ready for heavy work until they are almost 20 years old. As a result there are many years of unproductive use, and many industrial users find that it is more economical to let them run wild and then catch and train them when they are fully grown. Some interesting facts about elephants: they can run faster than a human reaching short bursts of 25 miles per hour. They can lift 650 to 700 pounds using only their trunk. The proboscis is extremely useful being strong enough to lift heavy objects and dextrous enough to pick up a small coin. An adult elephant can eat up to 600 pounds of vegetation a day but a large part of it is not fully digested making elephant dung attractive to other species. Domestic elephants are managed by a professional driver called a mahout (oozie in Myanmar). 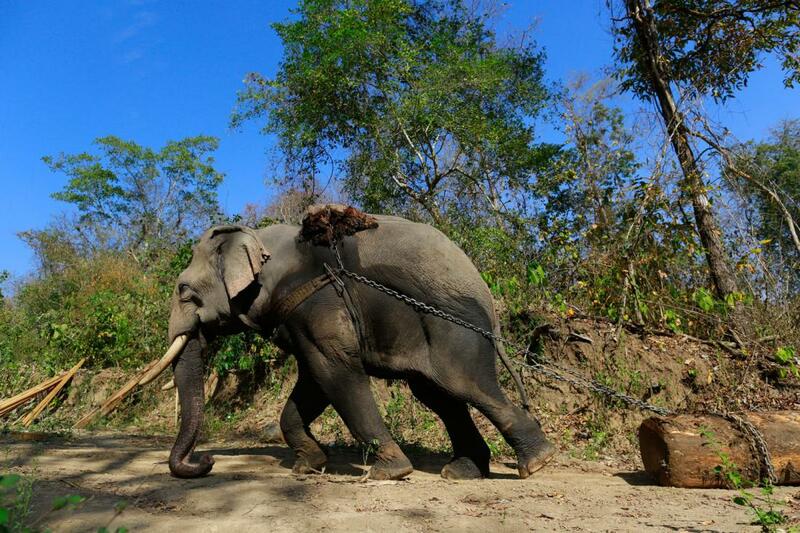 These mahouts are individually bonded to their elephant and may stay with them for life. The elephants are trained to respond to many commands, but will not respond to anyone that they do not recognize. For additional research, there are some interesting web sites listed below. Additional information on Cuvieronius from Wikipedia. ""Cuvieronius"" is an extinct New World genus of gomphothere and is named after the French naturalist Georges Cuvier. 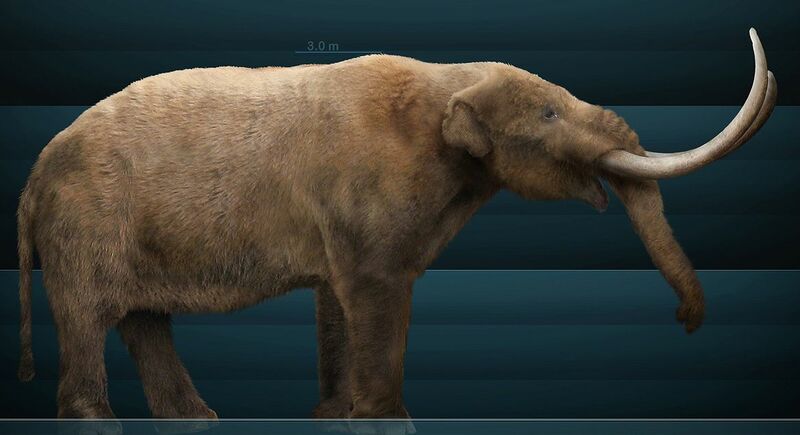 Alive, species stood, on average, 2.7 m tall and would have superficially resembled modern elephants with spiral-shaped tusks. The species now known as "Cuvieronius hyodon" was among the first fossil animals from the new world to be studied by science. The first remains of this species were recovered from Ecuador by Alexander von Humboldt, at a location the local population referred to as the "Field of Giants". 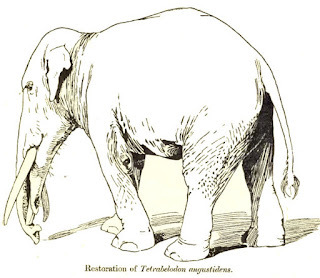 Humboldt recognized that, rather than being bones of giant humans as had been thought by the local population and previous Spanish colonists, they were similar to the giant elephants being described from Ohio. Humboldt sent teeth that he had collected from Mexico, Ecuador, and Chile to French anatomist Georges Cuvier, who classified the teeth into two species, which he referred to as the "mastodonte des cordilières" and the "mastodonte humboldien", in an 1806 paper. It was not until 1824 that Cuvier formally named the species. He referred both to the genus "Mastodon", calling them "M. andium" and "M. humboldtii". Unbeknownst to Cuvier, Fischer had, in 1814, already named the two species based on Cuvier's original description, in the new genus "Mastotherium" as "M. hyodon" and "M. humboldtii". The idea of two distinct species continued to be accepted into the 20th Century, usually using Cuvier's names, though Fischer's names were older. In 1923, Henry Fairfield Osborn recognized that these species were distinct from "Mastodon", and assigned each to its own new genus, as "Cuvieronius humboldtii" and "Cordillerion andium". However, by the 1930s, general agreement had shifted to regard both forms as representing a single, geographically widespread species, with "Cuvieronius humboldtii" considered to be the correct name. During the 1950s, the nomenclature of this species became increasingly tangled, as various scientists regarded the type species of the genus "Cuvieronius" to be Fischer's first published name "Mastotherium hyodon", rather than the originally designated "Mastodon humboldtii". This situation went unaddressed until 2009, when Spencer Lucas petitioned the International Commission on Zoological Nomenclature to officially change the type species of "Cuvieronius" to "M. hyodon" as had been followed for over 50 years by that time, rather than abandoning the well-known "Cuvieronius" as a synonym. In 2011, Opinion 2276 of the ICZN ruled to conserve the names.